Many people want to have a home any plants. But not all have enough of this spirit, because for them will have to take care of. Yes, even just to water their flowers do not all have time, to say nothing about caring for this "green wall"! 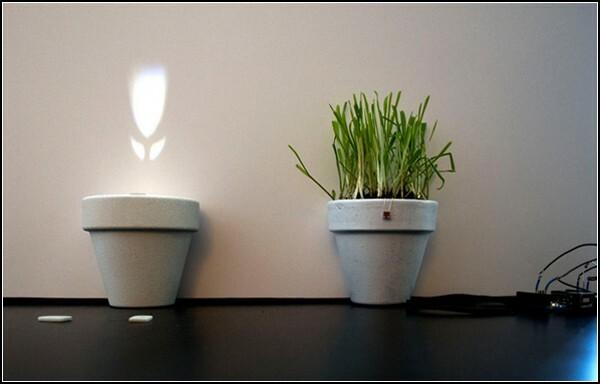 But the designer Winkel Maximilian (Maximilian Winkel) created a series of plants for the home called Schattengewachs, for which no need uhazhivat.Eti plants - from light. From a school course of natural history we know that many plants need light to grow and they were green. 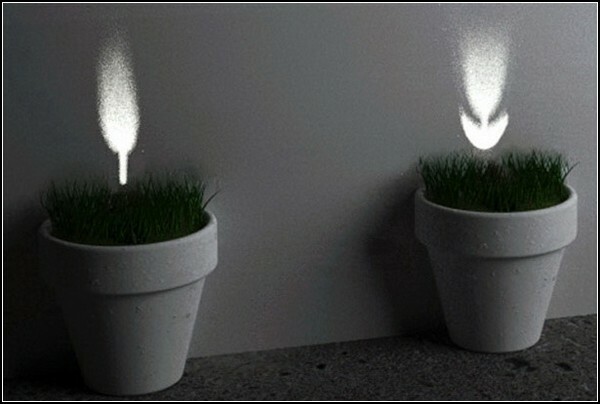 But houseplants Schattengewachs, created by designer Maximilian Winkel, need no light, but rather darkness. And it is not that this is the night flowers. This is, in principle, no flowers. After Schattengewachs are light installations as diverse flora. Moreover, they are all set in pots. 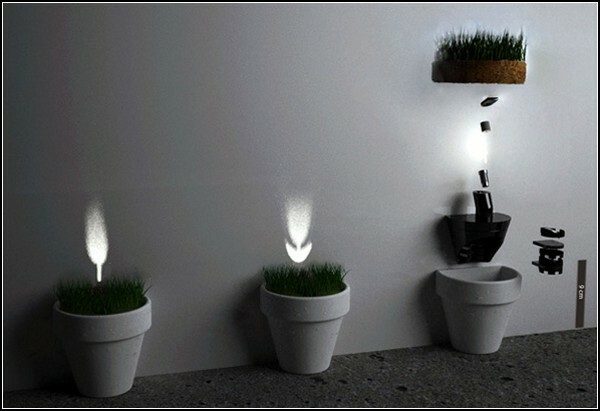 These pots can even decorate with green grass (grass seed and the earth come with them included). But their main effect is achieved with light. True, pots Schattengewachs need to install along the wall. And, when it begins to darken, become apparent that the vertical plane are displayed flowers, shrubs and even trees. 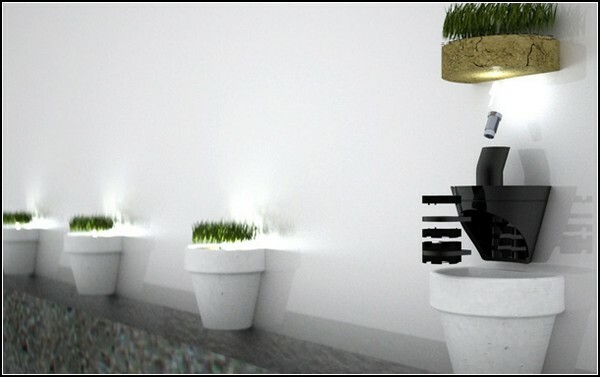 Moreover, these plants are programmed to ensure that over time increasing in size, grow. Of course, Schattengewachs of Maximilian Winkel - this is not the most beautiful houseplants. But certainly - the most original and trendy. Light installations because of our time in high esteem. It now remains to have another baby and pets: dogs, cats, hamsters, rabbits, made ​​of light. However, the latter, that is, sunbeams, already long been there.